Red is finally old enough to go into the city on her own. One day, she sets off with her trusty dog Woody to visit Grandma. But will she stick to the path laid out for her? 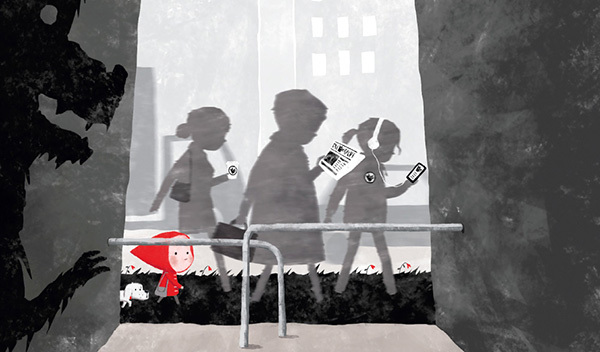 Like all children, Red must find her own way and discover what matters most. Red and the City, published by Oxford University Press, is now out in hardback and paperback. You can buy the title on Amazon or in your local bookshop. If you’re interested in securing foreign rights for your country, please contact Anne-Marie Hansen, Head of Rights at Oxford University Press. 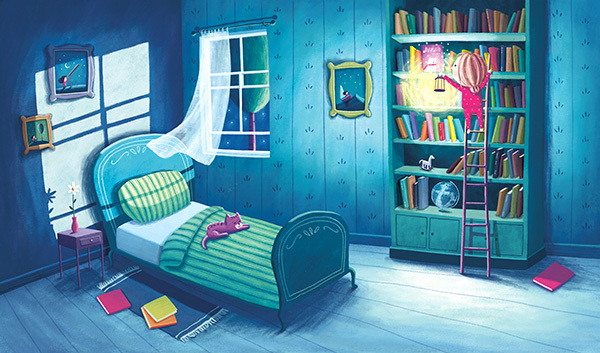 Betty loves her night-time stories, especially the one about Cosmo: a bear that is afraid of the dark. So when Cosmo comes to life, it is the perfect opportunity for Betty to help him overcome his fear and show him the beauty of the night. With a lantern in one hand and Cosmo’s paw in the other, join Betty on a wonderful adventure that will light up every child’s story time! The Light in the Night, published by Simon & Schuster UK, is now out in hardback and paperback. If you’re interested in securing foreign rights for your country, please contact Stephanie Purcell, Rights and Co-editions Director at Simon & Schuster.